Innovation in smartphones seems to have hit a ceiling, with most manufacturers releasing new products that feel like incremental improvements on the models that proceeded them. However, we are seeing many interesting technologies reaching an inflection point, which means that we could see some game-changing enhancements to smartphones within the next three to five years. 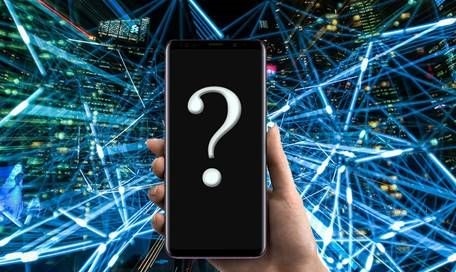 Network operators around the world are expected to start launching their first commercial 5G networks during the course of this year – which means that we can expect 5G support to become a standard feature of smartphones within the next three years. 5G is the next generation of cellular network standard, promising speeds of 10Gbps and above, compared to 100Mbps offered by 4G/LTE, as well as much lower latency. This will offer smartphone users blazingly quick access to apps, services and info on the go. South African operators have trialled 5G networks, but we may have to wait until 2020 or beyond for widespread commercial availability. Most of us would love to have a larger display to view media or do work on our mobile devices, but few of us like to carry a chunky device around in our pockets. Smartphone displays that can be folded to reduce the size of the device may resolve the dilemma in the months and years to come. The technology is in its infancy, so the first devices are still quite bulky. In years to come, we may see smartphones that can be folded or rolled into a tiny device you can keep in a back pocket or even wear on your wrist. At your convenience, you can expand it into a tablet-sized screen when you want to catch up on a series or tweak a sales presentation. More and more ports and plugs are disappearing from smartphones as we depend more heavily on wireless technologies such as Bluetooth and RFID to connect our devices to peripherals such as earphones, computers, car sound systems and more. As wireless charging technology continues to improv, we can expect to see charging ports and other physical interfaces start to disappear. With fewer gaps, wires and holes in their design, smartphones will become even more robust (fewer places for dirt and water to creep in) and cheaper to manufacture. Voice assistants and voice interfaces are likely to become the primary way we interact with smartphones and other smart devices quicker than many people think. The artificial technology powering voice assistants is maturing fast, allowing us to interact with technology in a more natural, seamless manner. Within three to five years, it seems likely that you will use voice commands for many, if not most of your interactions, with your Android device, from scheduling appointments to ordering a pizza to searching for information about the new car you want to buy. Better battery life is high on most smartphone users’ wish list. We take our mobile devices everywhere and increasingly use them – rather than PCs or notebooks – as our primary work and personal devices. Yet few smartphones can last a full day of heavy usage on a single charge. That means running out of power at inopportune times or carrying a power bank around to top up your juice when you are not near a plug. Though battery technology has not evolved at the same speed as other aspects of the smartphone technology, there are new technologies in the pipeline that could deliver the breakthrough we are waiting for. Solid state batteries, nanowire, lithium-air batteries and other alternatives to lithium-ion may soon emerge, though it’s hard to predict when they will move out of the labs and into the mainstream.